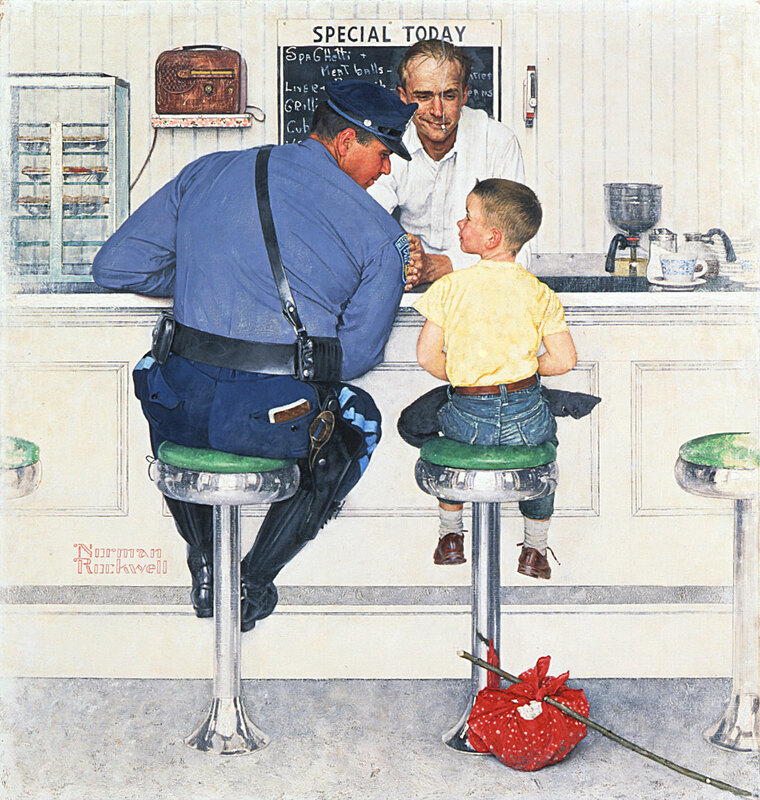 Rockwell is known as The Saturday Evening Post’s most famous illustrator. He submitted his first successful cover painting, “Mother’s Day Off”, to the Post in 1916. Over the next Forty-seven years his work appeared on the cover a total of 323 times. Each cover that he created tells a story. The images are rich with detail and these details offer a wonderful opportunity to teach and contextualize new words. Printed or digital copies of various Saturday Evening Post covers. Use the covers that you have chosen to build language skills and teach new words related common household objects, emotions, settings, expressions and relationships. Point to common household objects in the covers and name them. Have students repeat the name of the object. Then have them act out how the object is used as they continue to repeat the word. Use the scenes to talk about feelings. You might begin by simply naming the emotions that the characters are feeling and then build upon that by asking students to use the emotion words in sentences. Use the covers to cue different activities within your classroom. For example you might point to an image of a character sitting as you ask students to take a seat. Ask students to share observations about the paintings. For example, they might observe what the characters are doing, the setting where the painting takes place or the colors and shapes in the painting. Set out several covers and choose one to describe. Have students identify which illustration you are describing. Then have students take on the role of describing the paintings as others identify which painting is being described. Use the paintings to practice conversation. Have students pretend to be the character in one of the illustrations and engage in talk that is relevant to that setting. For example you might chose to act out “The Run Away” and practice interactions that might happen in a restaurant such as ordering a meal. Have students create their own Post covers and then use their illustrations to introduce new words. In small groups, have students reflect upon the illustrations. Ask: What did you like about those illustrations? What are two new words that you learned? How might you use those words in a sentence?